Forward-looking: While smartphones have advanced to the point where they’re essential mini-computers in our pockets, battery technology hasn’t really kept up. 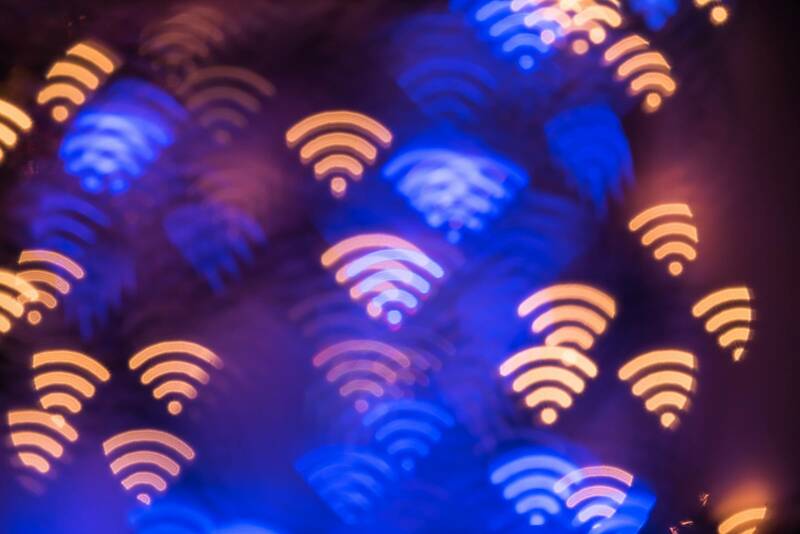 But MIT researches have taken the first steps toward a world where our handsets could be powered by Wi-Fi signals. Scientists from the Massachusetts Institute of Technology developed a 2D material that is based on existing rectifying antenna, or rectenna, devices. These capture AC electronic waves from the air and turn them into DC power. They tend to use silicon or gallium arsenide, making them rigid and suitable for powering small electronics, but the MIT version is only a few atoms thick, meaning it’s flexible enough to be fabricated to larger sizes. MIT used semiconducting material molybdenum disulfide (MoS2), which is three atoms thick, to create the new rectenna. It’s able to convert up to 10 GHz of wireless signals with around 30 percent efficiency. While that’s higher than other flexible designs, it still below the efficiency of rigid rectifiers, which reach around 60 percent. The rectenna was able to generate about 40 microwatts of power when exposed to typical Wi-Fi signals of around 150 microwatts. That’s not enough to power your smartphone, but it could light up an LED or charge a low-power SoC, potentially making it ideal for Internet of Things products, wearables, and small medical devices. The team now aims to improve efficiency and create more complex devices. "What if we could develop electronic systems that we wrap around a bridge or cover an entire highway, or the walls of our office and bring electronic intelligence to everything around us?" said Tomás Palacios, director of MIT and Microsystems Technology Laboratories Centre for Graphene Devices and 2D Systems, who co-authored the study. "How do you provide energy for those electronics? We have come up with a new way to power the electronics systems of the future – by harvesting Wi-Fi energy in a way that's easily integrated in large areas – to bring intelligence to every object around us."